Gareth Bale has told Real Madrid that he will leave Santiago Bernabeu if the club fails to offer him regular playing time week-in and week-out. After Real’s 2-1 win in the European Super Cup, Gareth Bale, whose future at the Spanish capital has been a subject of intense speculation ever since the start of the summer transfer window, insisted that he wants to stay at the club and fight for his place in the starting XI. However, Spanish publication Diario Gol (via Express) claims that the former Tottenham man is fearing that he could lose a place to the talented duo of Marco Asensio and Lucas Vazquez. Asensio has almost seized every chance given by Zidane, and in fact, scored a stunning 35-yard goal against Barcelona in the Spanish Super Cup recently. Lucas Vazquez, on the other hand, has been Zidane’s trusted man on the wings, putting a stellar show against Barcelona. 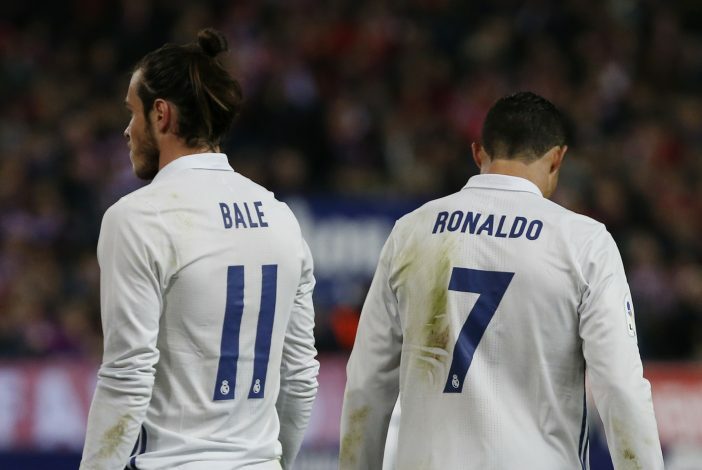 The emergence of the Spanish duo has seriously put Bale’s position in the starting XI under jeopardy. The report goes on to say that the 28-year-old is reportedly threatening to move to the Premier League if Zinedine Zidane fails to give him enough and regular chances. Manchester United have been the long-term admirers of the Southampton graduate, but recent reports claimed that the Red Devils are willing to pay only £90m to finalise the deal, but Los Blancos want at least £109m to part ways with the wide-man. Apart from United, Chelsea have also gotten linked with Bale recently, and it will be interesting to see which one of these two English giants lure Bale away from Spain.